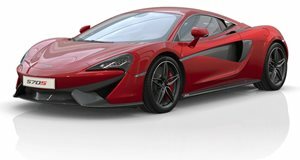 What The Heck Is The Deal With Used McLaren Prices Right Now? We try to make sense of this constantly fluctuating market. McLaren, as we know it today, has only been around since 2011. In just five years, the carmaker has managed to build 10,000 vehicles, which is an impressive feat. However, we wondered if McLaren's rapid growth could have a negative effect on its car's used values. McLaren is a bit like Apple, constantly giving its fans a new model that looks better than the old one, with more power, a better value, and of course, a reason to trade in the old model. With these new models endlessly pouring out from the brand, what's going to happen to used values? Unlike Ferrari, McLaren is very eager to stay ahead of the pack, even if that means releasing a new model every year. For example, the Ferrari 458 was already slower than the 12C, but McLaren felt the need to release the even faster 650S during the 458's lifespan. It was only when the 488 was finally released in 2015 that Ferrari finally became more competitive. Even though McLaren has only been operating for around five years (if we don't count the SLR or F1), it has plenty of cars that we can evaluate on the used market. We wanted to stick to just four main models: the 675 LT, 650S, 12C, and 570S (as well as Spider variants) in analyzing the current state of used car values. Even though Spider variants do effect values quite a bit, for our purposes, we will be ignoring the differences between the coupe and drop-top versions. 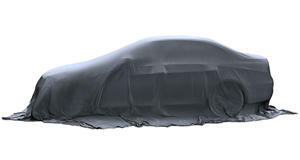 Some reviewers may convince you that the Spider version is a completely different car, but the removable roof is the only tangible difference. We searched for used McLarens to see the highs and lows of each model on the used market. We decided to first take a look at the 675LT, which actually appreciated hugely when it fist came out. Currently, the most expensive 675LT that we could find was a red Spider that's loaded with carbon fiber parts for a whopping price of $519,000. On the other end of the spectrum, we found a standard 675LT coupe in grey for $358,000. 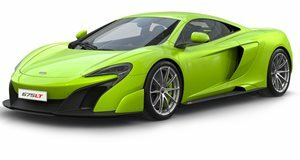 When new, the 675LT had a base price of $349,500, so $8,500 over is not terrible. We wouldn't even think about spending an extra $161,000 just for some carbon fiber and a convertible roof. When we get into the 650S, 12C and 570S prices, it starts to get a lot more interesting. We found 650S models ranging from $322,000 for a 2016 Spider, to just $210,000 for a 2015 coupe. That is a huge disparity for a one-year-old car with less than 5,000 miles on it. What is even more odd about the 650S prices are that they overlap with the 12C and the 570S. The most expensive used 570S that we found was $233,000, while the least expensive model was $184,000. The 12C ranged from $225,000 to just $122,000. Clearly the 12C is the most affordable used McLaren on the market, but there are still dealerships out there that want more for one than a used 570S or 650S, which are both better cars. This experiment just goes to show that the used McLaren market is confusing and needs to be properly analyzed before making a purchase decision. For around $200,000, the 650S, 570S, and 12C are all available, but which one is the best to buy? We might say the 650S because it has the most powerful version of the 3.8-liter twin-turbo V8 making 641 horsepower. The 570S only has 562 hp, but is the more comfortable car to live with everyday (if there are people crazy enough to daily drive one). The only reason we might recommend the 12C is if it could be purchased close to the $120,000 range or lower. The prices on the 12C plummeted quickly when the 650S was revealed, and they may soon fall below $100,000. What we learned here is that McLaren is not doing a great job of controlling the used prices of its models. The 650S is much more car than the 570S, but used prices have already started to overlap. It may not be great news for McLaren, but anyone who wants to buy one used will have a great assortment to choose from.